Google has finally announced Android P but it's currently only available for developers preview so as at the time of this report, it's not yet officially rolled out on any device. Android P will be a successor to Android O which is gradually taken over Android 7. Though I think Google is faster in this pursuit of new versions because judging from the number of devices that are currently using Android O Oreo, you will discover that majority of Android users are yet to receive update for Android 8. As expected, a new version should bring some excitements through new features and this version won't disappoint. Meanwhile, while you wait for the actual release of latest Android P to the public, I think it will be a nice idea to give you a glimpse of some newly added features of the Android OS. In this post, I have curated 6 amazing features that makes Android P different from previous Android versions. One key benefit of this next version of Android OS is that it will prevent apps from using your smartphone’s microphone or camera whenever they’re in the background and not actively being used on screen. If you have been worried about secret recording activity happening on your phone, Google has got your back with Android P. Whenever an app in the background tries to use your microphone or camera, a new security feature will trigger a notification to tell you and you can decide to let it happen or not. So, Android P is big on user privacy. Are there any other new stuff? Yes; there are. Notch display support was a trending feature at the Mobile World Congress 2018 in Barcelona. In case you don't know much about it, you can check my previous post on Notch display for more details. Google has now added support for display notch in Android P.
Android P OS has a new notification panel and improved messaging notifications. Indoor positioning via Wi-fi means your smartphone will be able to measure the distance to multiple Wi-fi hotspots and use this information in indoor positioning apps to calculate the near exact location of the phone with an accuracy of 1 to 2 meters. Android P adds support for HDR VP9 Profile for video and HEIF image compression. These formats weren't available in previous versions but now available this version. HDR VP9 makes it easier to watch HDR videos, while HEIF is a new image compression format that can compress images to less than half the size of a JPEG while maintaining higher image quality. It's obvious that multi camera phones are trending now as we can see more phones being shipped out with dual, triple and even quad cameras. Android P includes native support for multiple cameras. Think of using twitter and wanting to share a quick selfie, so you call up the camera from inside the tweet you are composing. You will be able to use zoom or even bokeh in that situation. A bonus feature is a Bluetooth HID device profile that enables your smartphone as an input device. CAN I JOIN THE DEVELOPER PREVIEW PROGRAM? 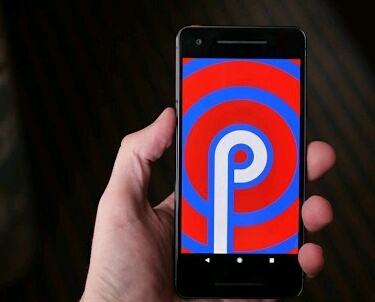 You can join Android P Developer Preview here if you are a developer and need to test out things with your apps, you can download and use Android P Developer Preview. Note that Android P won't be available to general public till the end of the year 2018.